A duffel with dozens of uses. 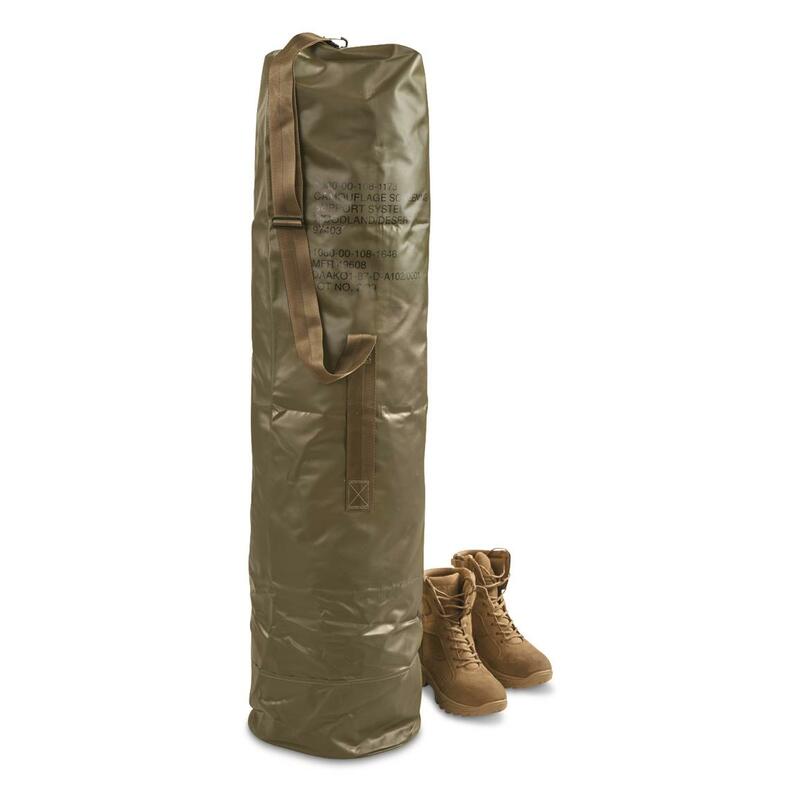 Heavy-duty rubberized vinyl duffel Bag lives beyond its military duties to serve you in whatever purpose you see fit. Store your trekking poles, stash away a pop-up canopy, or preserve a well-loved rug during your next move. Attached nylon carrying strap makes hauling a breeze. 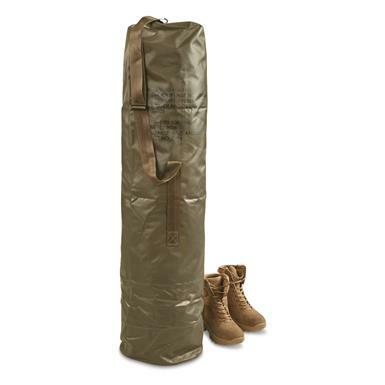 Originally used by the U.S. Military to store support system poles and spreaders for attaching camo netting. They'd drape the netting over trucks, radar sets, and more for complete field concealment. Closes using military clip system (grommets and metal latch). Rubberized to help shed water.